Alright! Let's get started. 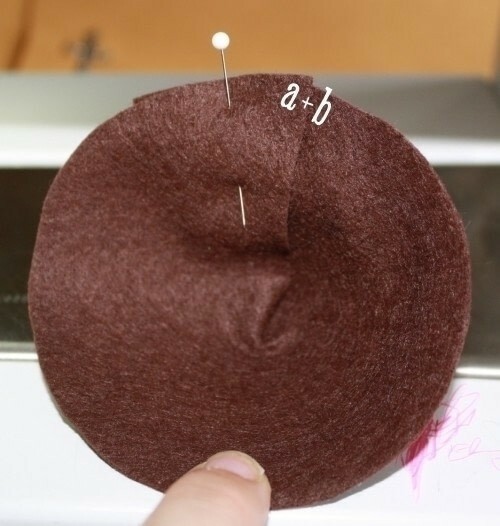 After you've cut out your felt pieces, overlap corner/line "a" to the dotted line "b" point and pin. 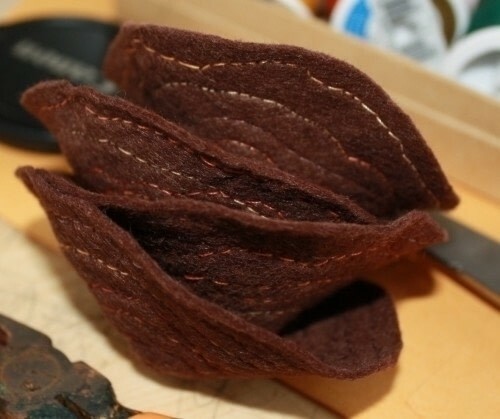 Sew in a spiral motion toward the center of the nest and then spiral back out to the edge. 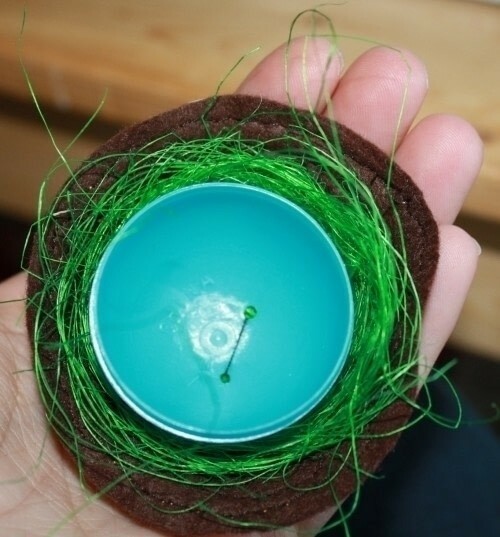 Tuck a bit of grass into the bottom of the nest then place the bottom part of the egg on top. 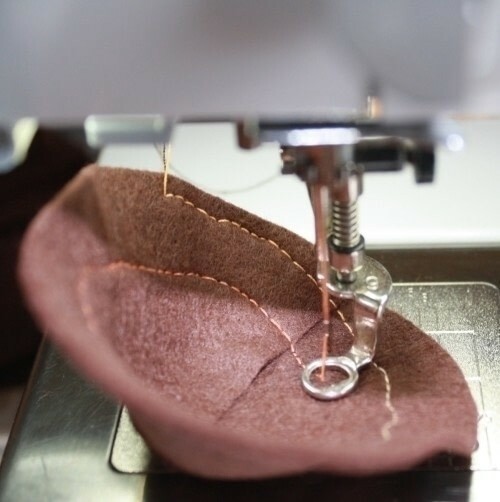 Using your needle and thread sew the egg bottom into the nest as you would a button. It's cute, but really, it could be better. 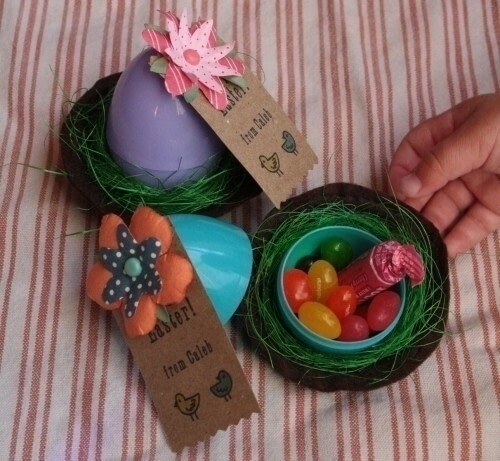 Assemble your paper flower and push a mini brad through the middle of the flower, the tag and the egg top. Push open the brad legs (? arms? is there a name for them?) on the inside of the egg top. 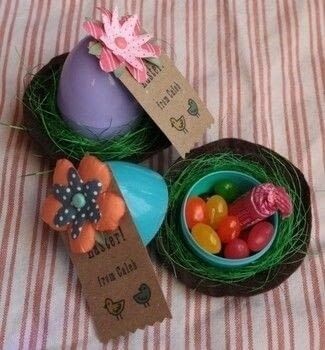 Now you can fill it up with goodies and hand them out to all your little Easter egg loving friends! 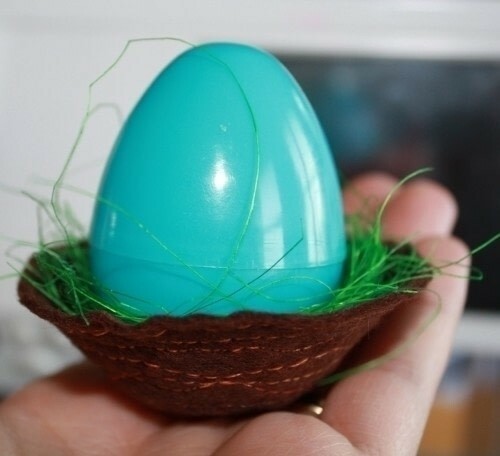 These Easter nests are guaranteed to please! Let me know if you end up making any, I'd love to see your versions. I could see little chicks or frogs sitting on top of these things too. The possibilities are endless! Thanks, Britta! Post some pics if you make a batch .